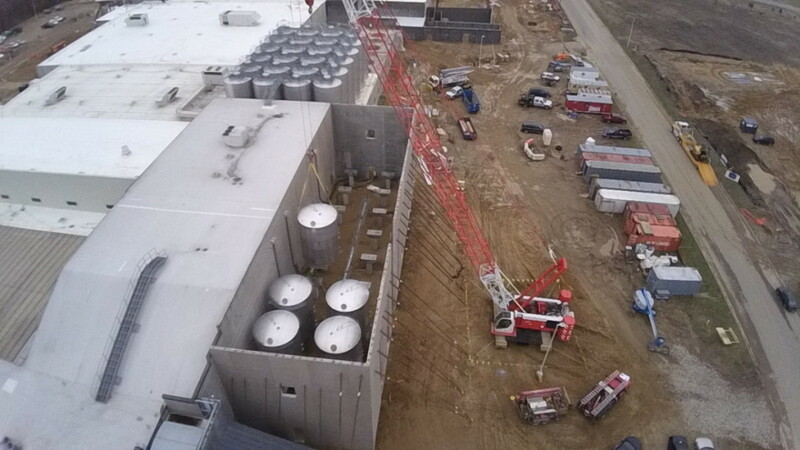 Bell's Brewery, Inc. Two Hearted Addition - Byce & Associates, Inc.
Design Program: To keep pace with Bell’s Innovative Brewing philosophy, John Mallett, the Director of Operations with Bells Brewery challenged the Byce Structural Engineering team to explore innovative ways to support their 400bbl fermentation tanks. 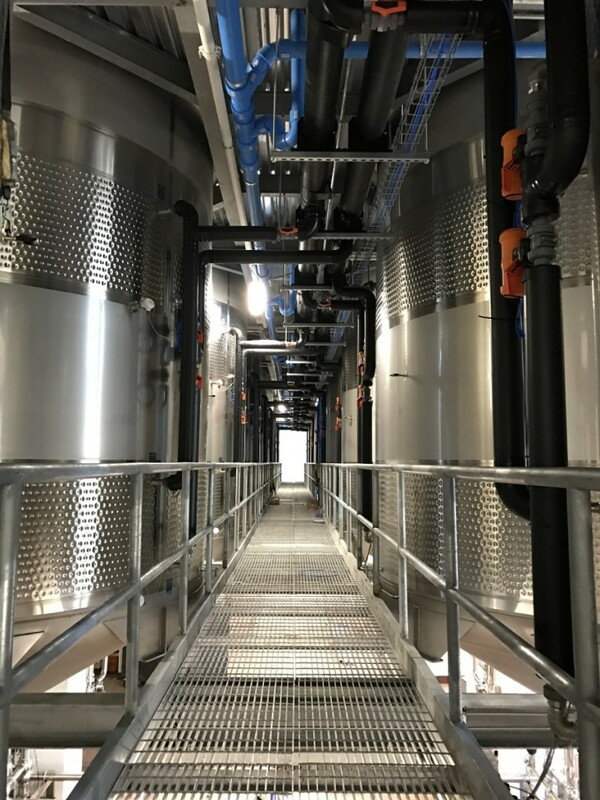 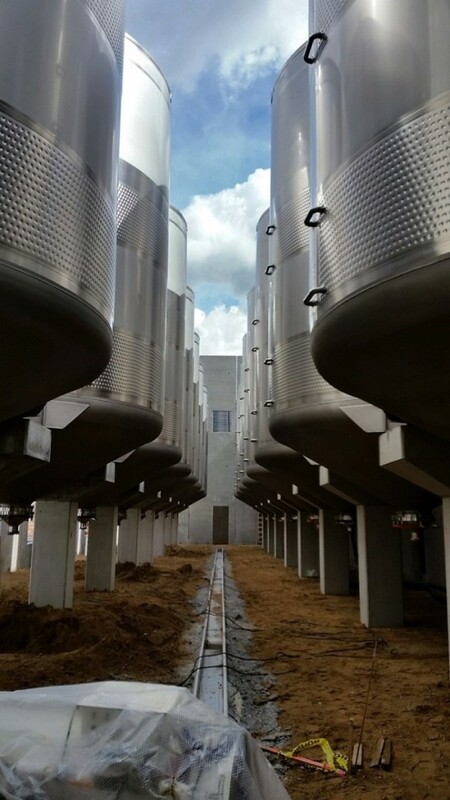 Often times, large fermentation tanks are supported from structural steel beams and columns arranged in a tight framework throughout the space. 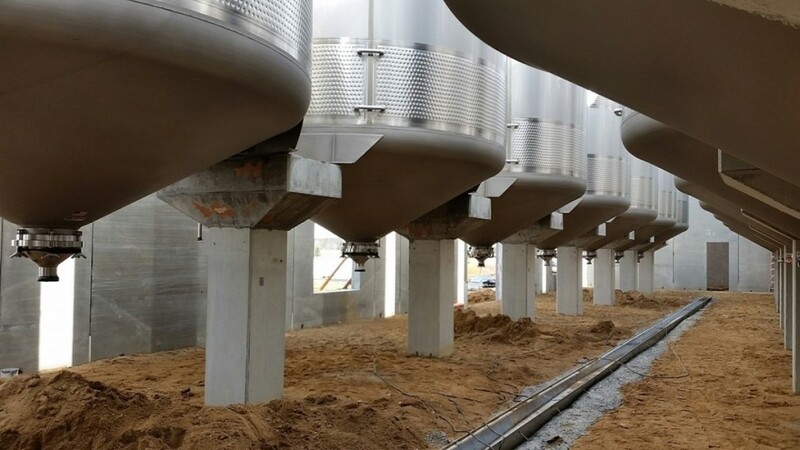 Through the design development phase of this project, we determined that Cast-In-Place Concrete fit not only the innovative nature of Bells Philosophy, but also provided the most cost competitive structural solution. 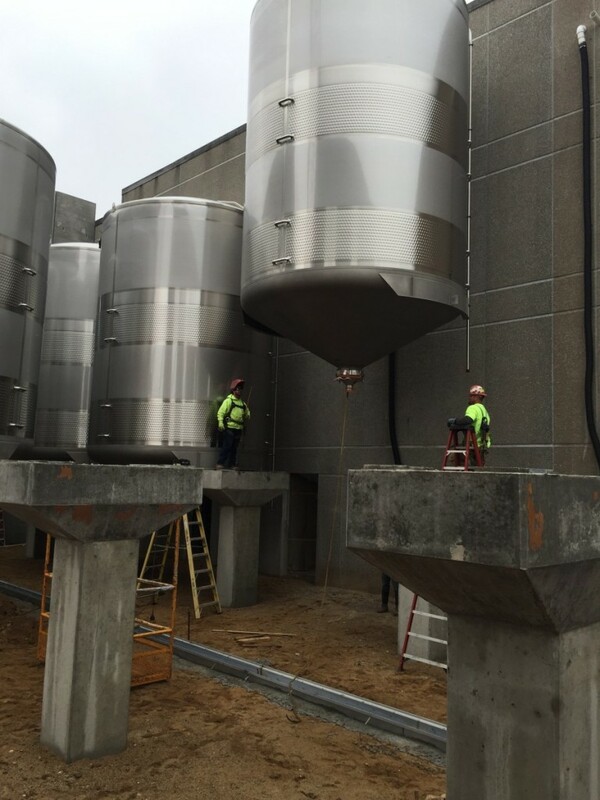 As part of the 2015 Expansion and Addition, Bell’s added (16) 400bbl Two Hearted Fermentation Tanks. 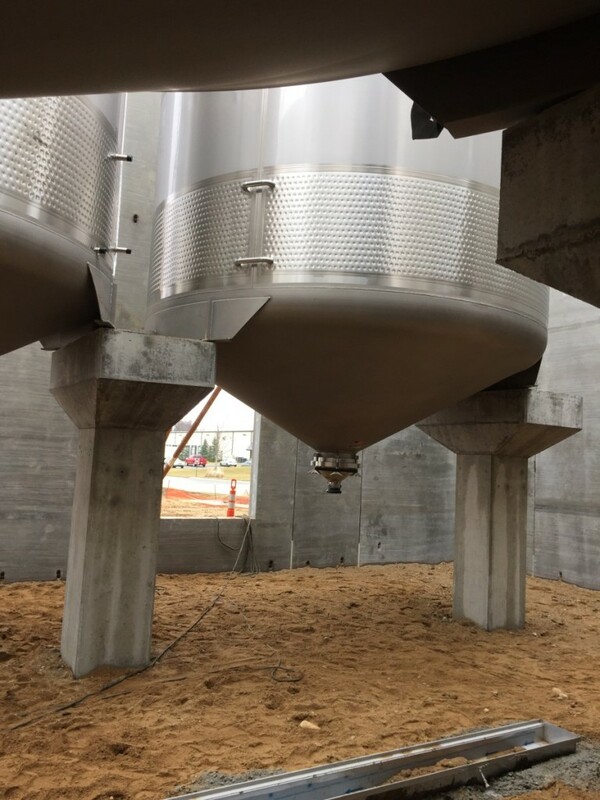 The support structure for the Two Hearted Tanks consists of 24”x24” cast-in-place concrete columns that have been designed to cantilever up from the shallow foundation system; whereby each tank is positioned on only two columns without intermediate beams or other framework, as is typically used. 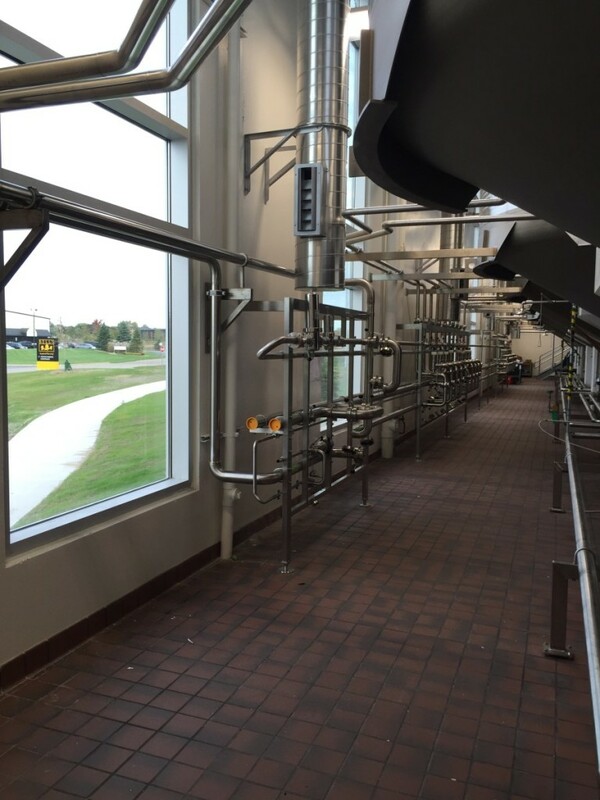 The space is provided with expansive areas of exterior curtain walls to allow natural light deep into the space, and for showcasing the process equipment as a focal point at the entry to the facility. 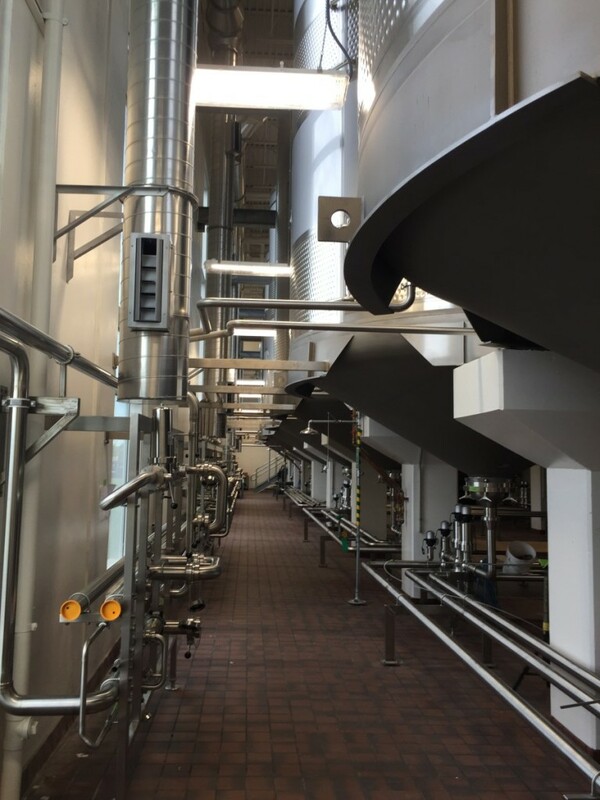 The upper mezzanine area has a monorail system and hoist way to provide easy access for hops deployment from production staff.